I want in this essay to get a bit clearer about the longing to be ‘in the present’ and what work with the Alexander Technique tells me about my living in and with time. I was listening last night on the radio to a programme about a well-known flamboyant eccentric in Brighton, a man in his seventies, once a dancer, who associated with Salvador Dali and Andy Warhol. Following two serious accidents and periods of coma he now lives a life without short-to-medium-term memory. From the ceiling of his flat are suspended many pieces of paper, photos and writing, which can remind him of his life. He himself expressed his contentment, his sense of absolute trust and acceptance of the limitations of his existence (which he is able to speak about if not fully realise). His friends and family (whose actions, names, relationship to him he will not remember) expressed their enjoyment of and longing for the freedom from doubt and worry which he possessed. He described his life as one lived totally in ‘the now’. I appreciated his open hearted acceptance of where his life had taken him – he had many clear, distant memories, but I was troubled by the admiring wonder of those touched by his difference, by his strangeness, by this kind of living in the now. I recently saw a film made by a professional film-maker, with her daughter, about her mother, now elderly and suffering with dementia, following her life over a period of years. Here was a different process, a process of what one could call deterioration, and involving a personality with less self-awareness (at least verbally) of what was happening to her than was the case with the man in Brighton. I used the usual “suffering” in speaking about her condition, but the film managed to convey how, given the right support, a king of beauty and joy could be found for the subject of the film in this life which was letting go of normal concerns, letting go of relationships, living in the now. As a way of appreciating an individual’s immediate experience, the film was more satisfying for me because it acknowledged the fear of loss of personality, and made me aware that both the fear and the integrating of such fears belong to the business of personality and to living in the present. There are some oft-quoted words of Carl Jung which come to mind: “Personality is the supreme realisation of the innate idiosyncrasy of a living being. It is an act of high courage flung in the face of life, the absolute affirmation of all that constitutes the individual, the most successful adaptation to the universal conditions of existence coupled with the greatest possible freedom for self-determination” (IP, p 169). Anthony Storr, a leading figure in psychiatry in the second half of the twentieth century, comments on this passage that the fulfilment of personality involves our recognising limitations, involves acceptance, and involves self-knowledge: “the sense of being at one with oneself, of being true to and in harmony with one’s own nature, is ultimately a subjective experience… it is really only the individual himself who knows his own truth” (IP, p 171). Idiosyncrasy is not enough, is not really there unless the subject is involved in making the mixture. A very different ideal of living in the present comes from the person who has come to have an intense experience of mortality, perhaps through religious teaching, perhaps through an illness overcome or a serious injury escaped. In Ireland people will often add to a future arrangement made – “if we’re spared”. Live each day as if it were your last. Here ‘the present’ takes on a different quality. But it shares one feature with the way we view, from outside, the person with no short-term memory, or who is becoming demented. In both situations – escaping death or losing memory – we are open to unfamiliar or paradoxical understandings of how and when we are active in ordering our lives, how and when we are passive. We face questions about agency, about decision making, about allowing our lives to be led. Who is in charge? The idea of ‘the present’ is initially a spatial one: what is here before me, before my eyes or my attention. The most obvious opposite to ‘present’ is ‘absent’ – past and future come later. And in the very idea of the present is the idea of me, or whoever it is; the one before whom the event or thing has arrived. You find in the past all these lovely expressions of such-and-such being “present to my spirit” or “present to the imagination” or “present with my mind” . The move from space to time is easily made – ‘here’ becomes ‘now’, but ‘here’ can easily be turned into ‘there’ or ‘then’. It was perfectly natural to speak of ‘this present’ (here and now) and to contrast it with ‘that present’ – the experience of another place, another time, another content of my mind or imagination which could also be real, be filled with actuality. That’s what human beings are good at – not being confined to one present. To present, to make or give a present, to be presentable – all have the sense of display, of formality, of coming into a relationship of respect. To present arms means both to get ready to fire your weapons and, in different circumstances, to proffer your weapon as a gesture of respect or deference. ‘The present’ is something strong and vivid but it is not denying time. It is appreciating what has come into awareness, within the wider context of space and time. In itself now is nothing. What matters is that something is before me. Perhaps the longing for ‘the now’ is for a unity, something outside of time, with no development, no change. That is the lure of living in the now. Let me now give some of the basic shifts in attention which I think belong to what I am trying to do with the Alexander Technique. Something is placed before me, is present to me. Can I experience the way the two – me and the other – belong together in a more intuitive rather than an intellectual way so that the spatial fact that the two are in proximity is not what dominates or determines the togetherness? The unity is something we discover through our own attentive effort in the act of perceiving. I have already spoken of this kind of consciousness when talking about Goethe and the archetype – (in essay twenty- three) – leaving behind a linear succession of things perceived moment by moment for a way of seeing which sees relationships within a whole experience which happens in space and time. A bird flying across the sky is a present event with no inevitable need to analyse, to relate bird to action to environment. Is life a succession of still frames? I will return to that later. The shift is the shift from entities to relationships. It is interesting to note how common in the past was the use of the word ‘present’ or ‘this present’ to mean the book or text which is before you right now – the words, the meaning, requiring you to read and understand it. ‘The present’ asks for active reading and I think the shift in consciousness I am speaking about is a shift towards reading the meaning, using our active minds. Living in ‘the now’ need not, to my mind, be mindless. One aspect of this activity is caught by Henri Bortoft in trying to describe what he feels belongs to full conceptualisation. He wants us to overcome the prejudice that ideas stop us seeing what is really there: part of the mystique of living in the now is the longing fort a richer seeing, a simpler perceiving. 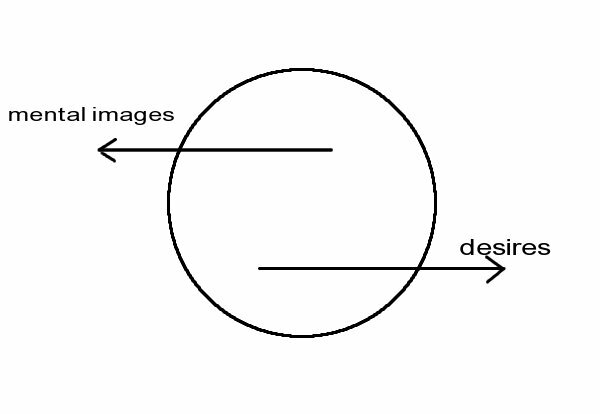 Henri Bortoft wants to offer us this other, alternative way of seeing which is not about fixed images and the self viewing a screen, but is about knowing as an act, about the thinking/seeing which combines distinguishing and relating: “The primary act of distinguishing does not point out something which is already “there”. It “theres” it. Thus the concept, or organising idea, does not apply to something which is already present. It “presences” it (GWS, p 135). I am going now to briefly present two perspectives on the idea of the present from two of the pioneering pupils of Rudolf Steiner. I think their insights will help my presentation but I also want to share with you the elegance and distinctiveness of their thinking. Both were medical doctors. F W Zeylmans van Emmichoven, was born in 1893 and published De Menselijke Ziel in Holland in 1946. It was translated into English with the somewhat cumbersome title of The Anthroposophical Understanding of the Soul. Karl Konig, ten years or so younger, created the book known as The Human Soul as a series of articles in 1959. Karl Konig’s book combines a scientist’s interest in clarity and research with a poet’s sense of depth in experience. Zeylmans van Emmichoven approaches the human soul with an attitude at once both artistic and logical, looking for the essence, the living abstraction. Compare their two formulations. For Zeylman’s van Emmichoven we reach the present in and through consciousness. We find in mental images “a point of rest”… which gives birth to a word (say tree) just as a word allows the mental image to be born into it (AUS, p 42). Something becomes fixed, allowing us to communicate, and to know what another person means. “A mental image always has the imprint of a memory” (AUS, p 122). This is one key element in reaching the present – the reaching back into our unconscious being, into a past through the activity of forming mental images. He contrasts this activity with desiring, which he bases in “the demand for life” (AUS, p 40), which emerges in the soul as feeling. In the young child he sees desire permeating perception, permeating the child’s sense of connection to the world. The word is born out of this “happy experience” (AUS, p 39) but this finding of the word leads to disengagement. Desire does not initially belong to consciousness but as part of the expression of our personality it fuels the urge for self-realisation. It leads into the future. “The forces working from the past carry the mental images into the soul. The stream leading to the future carries with it desire. In the soul, past and future meet in the present. Thus, the two forces of desiring and forming mental images, polarically opposite in direction, meet in the here and now. This is the secret of consciousness; it is always linked to the now, and this is why it is so difficult to grasp… it is the mental images or the desires and forces in the soul connected with them that arise in consciousness and drive the soul either into the past or the future. In one way or another there is always consciousness of this inner play of forces but the clarity, breadth, and depth of this consciousness change continually” (AUS, p 123). The present is a mobile place of meeting. We have come here to a stronger sense of time. Karl Konig, in his concentrated description in The Human Soul, is eager to make us aware of what lies beyond our normal day-consciousness whose very brightness blinds us to what is beyond: “In this confined but well-illuminated cell, we experience the clarity of our thoughts and the certainty of ourself. Its three-dimensional space, not too wide and not too deep, is well fitted for establishing our personality”. He describes an ever-changing inner world, likened to a river or a sea in which the consciousness of the mind is the brightest experience of the soul which we have – but it is not in any sense the substance of the soul. Karl Konig sees the present as being created by the meeting of the streams relating to future and past but he emphasises more than Zeylmans van Emmichoven the idea that the stream of the future is truly flowing towards the present, that it is the meeting of two opposing currents which creates the present. “We have to abandon the usual concept of time running only in one direction, from the past to the future… We can only say that the clash between past and future creates the present and that this present in us appears in the form of consciousness. It is the object-consciousness to which we referred” (HS, p 97). He sees this object-consciousness to be as if “the flow of time were stopped and turned into space”. The constant stopping is like the taking of a picture; it is “almost a figment”. It can be that these streams only gently meet and mingle, or pass each other by. When this is so we dream or sleep. The day-consciousness is a cell, or an ark surrounded by the waters of the unconscious. Karl Konig suggests that to leave this ark in which we preserve our lonely selfhood needs us to call a halt to the two rivers of time by “the devotion of our heart and the clarity of our mind”. This will then make it possible that “a space of the present will grow within us” (HS, p 99). The present becomes something we can create and work with. It still has the quality of light but light which does not blind us to the surrounding depths of reality but which shines into them and reveals what lives there. The present takes on such significance for us because it is where our I-being belongs. This focus opens up for us both the concern about development, about meaningful change in ourselves, and, I believe, the hint of some kind of ideal of original unity, or potential maturity. The concern with the present both offers us a way out of the ongoing flow of time and suggests that the flow can have, must have, some movement which we are in part responsible for. Another way of putting this insight is to say that only the human being, in comparison with the animals, can have a biography and can have culture, and that the human body is able to be the form of life which allows a biography to develop. It allows free movements – on all levels. This is what we are promoting or unearthing with the Alexander Technique: the ability to play with temporal being the better to engage with development in time. Maturing is only possible in time. A different perspective on the concern for the present comes from the wisdom of the chakras, in which the spiritual chakra, the chakra of prayer, of living in the present is considered to have a strong connection to the muscular system, the skeletal system and to the skin; to the moving form of the human being. To pay attention to the divine is to seek to release ourselves from regrets, to come into the body as the form of our freedom. I want to tell you about an experienced climber I was talking to recently. It could also have been a musician or a craftsman. He spoke of going about his daily business and finding himself visualising and imagining the feel of the rock on his toes or fingers, the distinctive feel of lichen or different textures of rock. He felt this prepared him for the peculiar quality of presence he often had when climbing, present but not planning. He, strangely, described it as being ‘like a robot’. We prepare ourselves for presence. 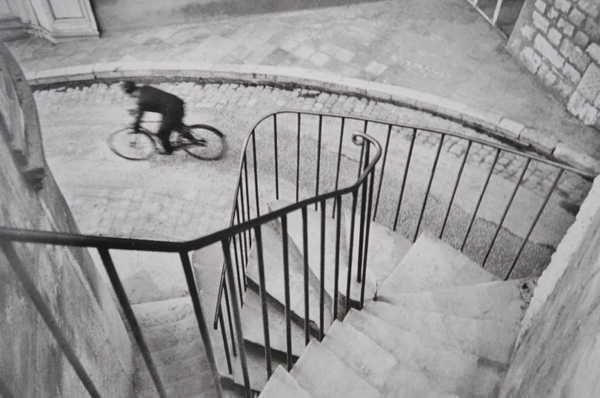 I am a great admirer of the work of Henri Cartier-Bresson, the photographer who is always associated with “the decisive moment”, the instant which the camera is able to capture and preserve. The magic of my decisive moments is there too in my memory, in my being – the chance word or scene or gesture which has become, in a way I could never predict, a significant moment in my biography. Contrast this with the deeply impressive but, for me, disturbing work of the German photographer Andreas Gursky who creates huge, incredibly clearly focused images of things which feel, to me, as if they will exist unchanging forever: a frame, like a note or a chord going on for eternity, like the end of Vaughan Williams’ sixth symphony. This, for me, is an overwhelming eternal present which I feel squeezes the life out of me. The lightning-quick responsiveness of Cartier-Bresson brings alive for me the unpredictable elasticity of the present, of the way the moment grows into meaning. We may well lose awareness of how this intense present is rooted elsewhere in past or future – because of its intensity. But without those living threads, the present would not happen. I will end with my favourite psychologist, William James, and his concept of “the specious present”, a term he borrowed from a writer by the name of E R Clay. By ‘specious’ he mans misleading (or misleadingly attractive). He wants to suggest that we recognise a (short) duration of time with a beginning and an end, and only within that duration do we make a story or give order to the succession of events or moments within it. He is depicting something almost spatial: we are able to apprehend an action, or a sentence, or a melody because we encompass a now, an enduring now, an ever-shifting now which has a beginning and an end. He describes the specious present as being like the rainbow on the waterfall. It is an awareness of time standing still, but it is interesting only because it allows what is passing through it to be more vivid by contrast. We sustain the experience of the present but it needs the energy and life of the waterfall, of the processes, which belong in time. The degree to which we enter into experience allows it to be ‘felt’, a favourite word of James, felt as time, as becoming a stream, as becoming events which melt into each other. We do not create the waterfall. We are the ones who notice the rainbow, who can be mesmerised by the rainbow. I think the practice of the Alexander Technique is one way to be at one with the colours but also to be able to expand the feeling of now into what is past and what is coming to be. Our experience, private and personal as it is, gains reality only through being taken up into time, into a larger reality. As a coda I would like to draw your attention to a passage in a lecture by Rudolf Steiner in which he contrasts a sense of space and movement which is divorced from our inner world, “something quite inhuman”; he contrasts this with movement in which “man learns to know himself”. This needs what he calls “blood activity”; the participation of the I-being of the person in the willed movement, epitomised in the child gaining uprightness: “The blood has one tinge when I raise my foot, another when I place it firmly on the ground. When I lounge around and doze lazily, the blood’s nuance differs from the one it has when I let thoughts shoot through my head. The whole person can take on a different form when, in addition to the experience of movement, he has that of the blood (all quotations from ONS lecture III). This added quality is, Rudolf Steiner says, no longer about changing position, about space; it is “a time experience, a sequence of inner intense experiences”. The freedom to move between a more abstract spatial orientation, and a way of being which lives more strongly in time, in the feeling of participation, of oneness of self with the world – this is a valuable skill and one at the centre of the Alexander Technique. 28. What is solid about us?